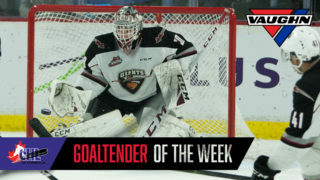 The Vancouver Giants would like to congratulate prospects Bowen Byram (pictured), Aidan Barfoot and Trent Miner on winning medals at the 2016 Western Canada U16 Challenge Cup. Byram and Team Alberta won the gold medal while Barfoot and Team BC took home the silver. Miner and Team Manitoba came in third. Prospect Harrison Blaisdell also participated in the tournament, playing for Team Saskatchewan who came in fourth place. Byram finished the tournament with one point in four games from the blue line for Alberta while Miner backstopped Manitoba to the bronze, posting a 3.66 goals against average and a 0.895 save percentage. 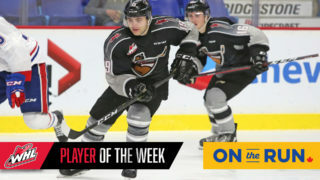 Barfoot played in all five games for Team BC, and Blaisdell scored two goals and two assists in Saskatchewan’s five games. 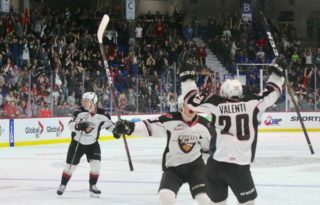 All four players were selected by the Giants in the 2016 WHL Bantam Draft. 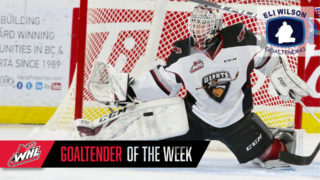 Byram and Miner have both signed WHL Player Agreements with the G-Men, and Byram made his WHL debut on October 14th against the Lethbridge Hurricanes. Vancouver returns to action on Friday against the Kamloops Blazers at the Sandman Centre. Puck drop is slated for 7:00pm. The G-Men will face the Blazers on home ice on Saturday. For tickets, click here or call 604.4.GIANTS (604.444.2687).